We return in November with headliners Villem & McLeod; fresh from releasing their debut album 'Playing The Changes' on Spearhead Records. 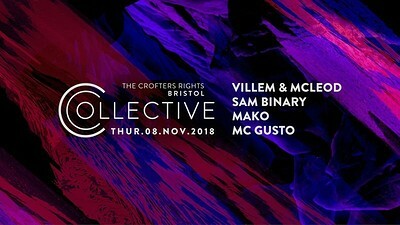 With Bristol based support, we welcome Sam Binary for a debut performance, plus Collective resident Mako; a long time supporter of the duo, in production and also via his label Utopia Music. MC Gusto joins on hosting duties as per!